A recent study reveals that one in three American children suffer from obesity or weight issues, and suggests that it may be due to parental stress. Most of us are aware that stress affects our weight. A new study shows that our stress may also be affecting our children's weight. Scientists examined the findings of a survey conducted on 2,119 Philadelphia parents and caregivers. Participants answered questions about their stress levels and about their 3 to 17 year-old children, of which 25% were obese. Specifically, parents were asked to rank their stress on a scale of one to 10. Stressors included health issues, financial problems, unemployment, single parenthood and poverty. The study found that those with greater stressors were more likely to have overweight children, and that fast-food may be to blame. The study showed that children whose parents self-reported higher stress levels ate more fast-food than those whose parents indicated lower stress levels. 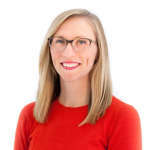 Study author Dr. Elizabeth Prout Parks of The Children's Hospital of Philadelphia offered possible explanations for the association between parental stress and children's obesity. "I believe that time is a factor. There's a lot of ways that stress affects you that would keep you from cooking and having the energy to do some things," Prout Parks explained in a recent interview with HealthDay. "Everyone tries to be the best parents they can be, but when they're under stress, they aren't always making the healthier choices." While the study did not show stress impacting children's physical activity levels or the amount of fruits and vegetables they ate, it did show that stressed parents tended to visit fast-food restaurants more frequently than their counterparts. And the fact that stress did not appear to impact children's intake of fresh produce may have something to do with the study counting French-fries as a vegetable. Still, the research showed an important link between the impact of parental stress and childhood obesity. And with one in three American children suffering from obesity or weight issues, such findings, which reveal that stress may be playing a role in the way parents interact with their children, are valuable. Dr. David Ludwig, of the Boston Children's Hospital Obesity Prevention Center, believes that the study underscores the importance of answering the question of why stressed parents tend to have heavier children. "If stress can be shown to be a major risk factor for childhood obesity, then it opens up an innovative new approach to prevention — not just focusing on encouraging kids to eat right and be more active, but developing methods to help the children and the parents feel less stressed." He also pointed out that the survey was taken in 2006, when financial stress from the recession was at a peak. It's possible that the economic uncertainty that parents faced then is negatively contributing to children's obesity problems now.